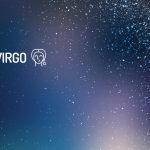 Here, you can find out more about the weekly Horoscope for Virgo, from April 22nd to April 28th. Every week, WeMystic will bring you the forecast for Love and Relationships, Health and Money & Career. A different energy is in the air. Singles: boredom is your worst enemy now. The less you have to do, the more likely you are to call an ex or accept a date with someone you do not like. Find more hobbies or a good distraction so you do not make bad romantic decisions. If you are curious about an attractive stranger at the end of the week, do a search. If he or she is single, there’s nothing to stop you from going after them. Engaged: if you are having trouble getting stopped earlier in the week, do something with your partner. Boredom can be a big problem if you do not make an effort to see the world together with it. There is a lot of romantic excitement over the weekend that you may not have felt for some time. There is something about love energy in the air that looks different, but you are not complaining. Let go of your inhibitions and go forward.Giving up can be liberating. You may be tempted to tell your story in more ways than one. You may find that your desk is filled with messages from others who are looking for work, wanting a contribution to your letters of recommendation or just wanting to upgrade. But you are also in a dreamy mood, and can easily think of a career evolution for you. Your creativity is screaming in every way. You may start to feel grumpy and less enthusiastic. Make sure you are getting enough sleep. It is also important to have breakfast. Co-workers who do not seem to take their jobs seriously can be a great distraction. Take the time to do any necessary research on health insurance and other benefits. Begin to treat your body better. The most effective measure of a healthy diet is how well you sleep. What you eat affects your ability to exercise and relax. Take the time to realize how your body digests what you eat. Red meat is difficult to digest, while green leaves are easy to digest. Begin treating your body the same way you would with a tuned instrument. Your love of the unusual can also extend to your taste for food. You can enjoy meals that consist of some very strange combinations. Sometimes you can forget and eat nothing. At other times, you may overeat. Your body appreciates the routine, but you may be very anxious to improve it.